Volunteering is one of those activities that pays back big dividends. When you serve up a hot meal at a soup kitchen, bake a cake to raise money for your child's school, or process adoption papers at the local SPCA, you help yourself. Did you know that people who volunteer--whether it's through a church group, a civic association or a favorite charity--are happier, healthier, and have lower rates of depression than people who don't volunteer? Older adults are particularly generous with their time and talents. Last year, more than 20 million older adults contributed more than 3 billion hours of service in their communities. I did loads of "collateral" interviews, meaning I spoke with every adult who influenced their life, their foster family, their biological parents, their pastor, their grade school teacher, their day care provider, their relatives, their social workers, etc. I handled "crisis situations" occasionally when a disruption occurred in the child's care and the child ended up in a residential treatment facility. As a CASA, I was the one constant in the child's life, and I spent hours getting to know the children, interacting with them, learning their deepest fears, wishes and secrets. Most CASA's take on one or two children, but at one point, I was responsible for 4 siblings, scattered in various foster care placements and treatment facilities. I wrote a lengthy paper, documenting my interviews and made recommendations to the judge about the best placement for the children. One year, I made 14 court appearances. 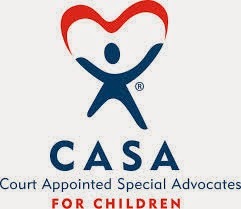 If you would like to volunteer to be a CASA, just call Family Court in your area and they will connect you with the CASA coordinator. It can be grueling and emotionally draining but it is also very rewarding work. 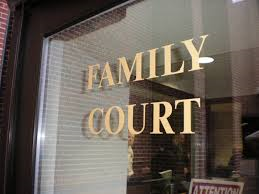 A CASA stays with the case until it's resolved, no matter how many years it takes. Most of you know that I'm a big-time animal lover and over the years, I've volunteered at a variety of animal shelters. If you'd like to help animals, but think helping out in a shelter might be too emotionally upsetting, you don't have to be "hands-on." I've written press releases, managed mailing lists, launched fund-raising appeals and answered phones. Animal shelters everywhere are desperate for help and they always need people to follow up on phone calls and do office work. One of my favorite shelters is the Wayne County Humane Society in Lyons, New York and all the proceeds (100%) from my Dream Guide go to them. 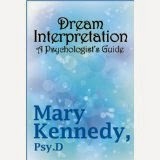 I wrote the Dream Guide to accompany my Penguin Dream Club Mysteries. It's 99 cents as an e-book. Okay, an e-pamphlet, it's only 17 pages. Here are a few tips to help you get the most out of volunteering. Be sure to choose an activity that you can devote your time to--think of your schedule and make sure the volunteer work is a good match. Usually, organizations will be thrilled to have you and will work around your other obligations. Find a volunteer buddy. You know how it's easier to get to the gym if your friend is waiting there for you? It also helps to have a friend choose the same volunteer activity you do. Make it easy for your friends to volunteer, offer to pick them up, suggest stopping for coffee or lunch. Make it a fun, rewarding experience and they will want to be part of it. Don't be afraid to spread the word to your friends and family. I've found that most people really do want to help, they just don't know how to get started. And they don't know about the opportunities out there. My local paper publishes a weekly "volunteer" section and lists all the charities in the region--everything from literacy efforts to shelters for abused women--and describes what they need. Like anything in life, it's best to find your passion. If you love kids, you might want to get involved with a library program, reading to children. If you like cooking and feel gratified when people enjoy a good meal, you can spend a morning a week at a soup kitchen. If you love horses, you can volunteer at an equestrian camp. The possibilities are endless! 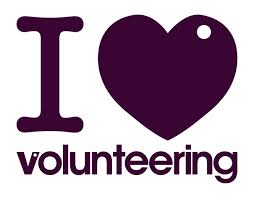 Make 2015 the year you volunteer, I guarantee you will be happier and healthier because of it. And if you're already volunteering, I applaud you!! Keep up the good work. The world is a better place because of you. About a year ago I found out, that I could do volunteer work by reading books. No, I am not kidding, as I was really surprised to find out, that the local Red Cross in collaboration with the city's libraries have a Book Friend group. There are a lot of lonely people, that are unable to go to the library due to either mental or physical problems - and that's where we can do something extraordinary for them. One or twice a month you are to visit your assigned book friend, Pick-up/drop-off library books and discuss one or more books that you both have been reading..... a sort of mini book discussion club... you can take turns if finding out what book to read. There is a huge waiting list from people both in private homes and nursery homes as the meetings also offer some company for the lonely people a couple of hours at the time. I've started to read authors I didn't use to read and my book friend has read some of the books, that I have liked reading - we both look forward to our meetings since we both love books and cherish our conversations about the books and life experience as we are from two different generations. Andaje, this is such a terrific idea! I hadn't heard about this and I'm so glad you suggested it. I love the idea of meeting with people one on one--I'm going to check out the local Red Cross and see if they have the Book Friend group. Thank so much for stopping by and suggesting this! I'm going to encourage my friends to look into it, and I will, too. I have a different kind of volunteer reading experience. I live in France where there is an association that links older volunteers (you have to be at least 50 to join) with schools, day care centers and other places where young children go for educational or leisure time activities. Volunteers like me go to the school once a week per class or group and read to children in small groups. The objective is to give them an experience of reading as fun in a relaxed atmosphere (often the school library which is reserved for the volunteer and his or her group for that time period.) I've been doing this for 11 years now in the same pre-school. I love my kidlets and they love having me come, getting out of their routine and listening to stories with just a couple of other kids instead of in their whole class with their teacher. I'd love to do what Andaje does, too. Sandy, that's a fantastic idea. I am so glad you are doing it. I can imagine how exciting it must be for them and how they look forward to your visits. Thanks for stopping by. I love this program. There are programs for reading to children also. Helps them develope reading skills and the love for books, as well as the volunteer becomes a mentor and roll model. Keep up the good works. Love it. One of my earlist memories is walking with my grandparents to the local library, and thankfully fifty some years later that grand building is still a library. I was forced into retirement at 56. I was not ready to give up work, and it took a few months to adjust, but then I realized what a blessing I'd been given. I started with the Salvation Army, coat drives, food drives, toy drives and of course red kettles, this lead to distributing food to seniors, and disaster relief, which lead to Humane Society of United States disaster and animal rescue teams which has lead to the local humane society where I volunteer at adoption events, helping furry beast find their forever homes. We always need help stuffing envelopes, or we have volunteers who sew little catnip filled pouches we give to cats as they come in for spay/neuter clinic. You are right in that some jobs like rescueing anmals from fight rings or puppy mills are not for everyone. On the other hand, helping low income seniors receive free groceries, or watching new people and pets bond are too rewarding for words. Whatever your talents, skills, interest, and passions, there are agencies anxious for your help. Love the article! And wish I had the health to do so again! It would be a hard choice between writing for the prison ministry or doing something for cats that I love. Thanks for the ideas! I've also heard of programs where you can read books to the blind. I haven't had a chance to check into it, so I don't even know who sponsors it, but I think that would be a very worthwhile program. Such a great article Mary. Some people think that they have to expend a lot of time to volunteer and decide that they can't do it. But there are so many ways that people can help out and fit it into their schedules. Animal shelters and rescue groups can use a lot of help and much of it is small but important. - Gathering up towels and blankets and donating them (although you should check first as at some times of the year, they have more than they have room to store and at other times they are desperate for them). - If you sew, little cat cushions and little cat toys are always needed. - And as far as toys, the dollar stores usually have a wonderful assortment of kitty toys. - If someone has an hour or so to spend, they can stuff Kongs with peanut butter to keep the dogs from getting bored (which is a serious problem in shelters). 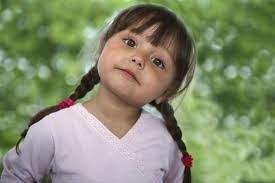 - Getting kids involved is also a great thing. Some young girls used sharpies and decorated ping pong balls with cute pictures and donated them to Lapcats for the kitties to play with. Some others made some cute toys out of pipe cleaners for the kitties to play with. - If you have some extra funds, shelters can always use canned or dry food, peanut butter, or even cleaning supplies. - From experience, I've found that shelters need small, heavy dishes for the cat cages (ceramic or weighted). You can't imagine the mess kittens can make when they start playing in a small area and knock over their food and water. - Many shelters have a "wish list" on their site with items that they need and some have a link where you can buy something online and it will be sent directly to the shelter. - If you have a little time to spare, shelters can also use people to do laundry and dishes. - As you mentioned, office work is also needed and can be done in small time frames. - If you just want to help occasionally, most charities have special events where they can use assistance a few times a year. There are just so many ways people can help, but it just takes that first step to decide what would work for them. You were so right about making sure it is something you feel strongly about and that will work into your life situation. You don't want to jump into something that is bound to fail and then never want to try again. Hi Linda, I'd like to look into that, I know there is a program in Manhattan that lets you record books for the blind. It's pretty labor intensive (can take 20 hours to record a book) but it would be gratifying. Robert, that's a fantastic memory to have...I wish all parents would take their kids to the library. And to museums...I was shocked when I spoke to some schoolchildren in Washington DC (I used to write YA and middle grade fiction for Scholastic) and I learned only a couple of kids had visited the Smithsonian...all those wonderful (free!) museums. Natural History, Air and Space, etc. Their parents just didn't take them...and then lived right in DC. Robert, these are fantastic ideas. You are doing such a wonderful service...I know these organizations are thrilled to have you. Love the idea of the little catnip filled pouches! Hi Mama Cat, thank you so much for stopping by! It sounds like you are already a dedicated volunteer. Thank you for all that do for animals and people! Diane, I LOVE that story!! OMG, it is fantastic. I am so glad you spoke up. It was the right thing to do. Lynda, these are wonderful ideas!! I know what you mean about the importance of having heavy dishes for water. In one of the shelters I've visited, they've stopped providing water dishes for the cats (because of the mess when they're tipped over) and they simply add some water to canned cat food before putting it in the cage. I love the idea of ceramic water/food dishes. Out little art museum offers ceramics courses to school kids. I'll have to see if they would make up pet dishes as a fun project. That's a wonderful idea. Robert. Thanks for suggesting it, love it. I've done many types of volunteering in my days--folding papers to be put in envelopes, licking envelopes, candy striper,etc but my favorite was working at a science center geared for school age children. It was different every day with different grades & schools & interacting & teaching on their level. I never considered myself as a teacher but here I was & it was fun since it was various grades & education levels of the children. It was both rewarding & taught ME that even I could teach, no matter the age, & they went away learning from ME!! it sure beat sitting licking or folding!! Alison, thank you so much, I'm glad you enjoyed it. Thanks for stopping by! The science center sounds wonderful! That's such a fantastic idea. Love it! The school children were so lucky to have you, it sounds very rewarding. Thanks for stopping by. That's a great idea Robert. Everyone benefits. I'm sure the kids would love to make something that the kitties could use. And Mary, I have done a lot of cage cleaning and know how messy it can be with kittens, and I can understand them wanting to cut down on mess and work, but I would worry about them not getting enough water just in the food. Some cats don't really like wet food, and dehydration is extremely serious in cats (which is why I had to give IV fluids to Dale) and especially in kittens. Every time I go to a dollar store I check to see if they have the small, flat bottom ceramic bowls that don't tip over easily, and I pick up some for the shelter and Lapcats. Maybe that shelter needs to add those to their "wish list"
I volunteer as a Court Appointed Special Advocate (CASA) for foster kids in the LA County system. Our volunteer services director often says that the dirty little secret about volunteer work is that you get out of it more than you put in. All I know is that when I or one of the other CASAs has a success with a difficult case, it is true cause for celebration.